Miss Midas is a top UK mobile casino slots Android game powered by NextGen gaming at Slot Fruity. This mobile slots Android game is based on the legendary Greek King Midas who was given the ability to turn anything into Gold by simply touching it. What began as a blessing turned into a curse, but luckily for you, the Miss Midas slot online promises to help you win an online jackpot of 500 coins x wagered amount that could see players walking away with over £25,000 from a single spin! The game has four high-value symbols; a bowl or fruits, a throne, a rose and a peacock. The standard symbols are 9, 10, J, K, Q and A. The good thing about Miss Midas slots Android game is that it can also be supported by non-Android devices such as iPhones and iPads. The game also has splendid graphics and slots free play option for players keen to spin for fun. 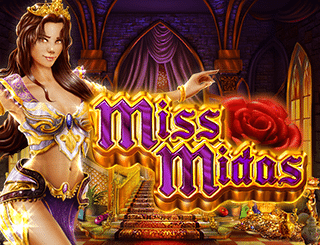 Miss Midas is a fascinating mobile slot Android game with 5 reels and 25 paylines. Players can place bets between £25p and £50 per spin. The game has an additional feature, The Superbet which enables players to maximize their winnings. With superb graphics, the game is themed around Miss Midas who has magical powers. Anything that comes into contact with her hands turns into Gold. There is also a background soundtrack that adds the casino touch to the game. The most captivating feature of Miss Midas slots Android game at Slot Fruity is the SuperBet. 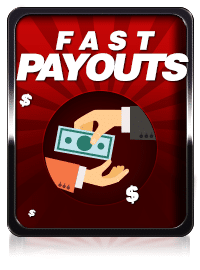 This feature enables players to increase their wager for extra wins. The wild symbol of the game is Miss Midas herself, and she only appears on reel 3. However, when playing in Superbet mode, she turns other featured icons wild, maximising players’ potential to win online cash slots. There is also a Golden Touch Feature where each wild symbol turns the neighbouring symbol into a wild one too. Here, you must be using the Superbet Feature. The Gamble feature is activated by clicking the club’s button below the reels. To double or quadruple your wins you must predict the correct colour of the next card to be drawn. How do Players Make Money Gambling Online & Playing Miss Midas Phone Slots? If you hit 5 Wild symbols, you will enjoy a 500x multiplier. There is a jackpot of 2,500 coins up for grabs which means that players can win up to £125 000 jackpot at maximum coin size. The RTP will depend on Superbet levels: Level 1 has 95.30%, level 2 has 95.58% and Level 3 has 95.62% at Slot Fruity.